Here at Customer Thermometer we are big fans of simplicity. Why make anything more complex than it needs to be? This is why we love embedding customer satisfaction surveys in emails. They are easy to setup, provide great response rates and deliver plenty of actionable customer feedback that enables you to immediately improve your customer’s experiences. There are many factors that influence survey response rates including who you are surveying, the number of questions asked, the nature and complexity of those questions and, importantly, the manner in which the survey is presented to the respondent. Internal staff surveys always tend to get much higher response rates than those targeting external audiences. The fewer questions that are asked, the higher the survey response rates and the easier it is for a respondent to answer the question(s) will also tend to increase response rates. The format and timing of the surveys also have a very significant impact on response rates. For example, if you want to assess a customer’s satisfaction with a specific product or service which you have provided and to do so you send them a survey, maybe several months after their purchase you can expect a poor response rate. But if you were to embed your survey in the email message you send to your customer immediately after their purchase, thanking them for their business, your response rate would soar. To get started with email surveys you need the right tools. Luckily for you everything you need is right here at Customer Thermometer and what’s more – it’s FREE. Register with Customer Thermometer and you get 10 completely free surveys that you can configure and run exactly as you please. You have full access to all resources including some excellent graphics which you can embed in your emails to encourage responses. Your Customer Thermometer dashboard is fully functional, providing you with real-time feedback on the responses you are receiving. The Customer Thermometer system supports two fundamental email survey formats. Embedded email surveys ask your survey questions from the body of the email message. 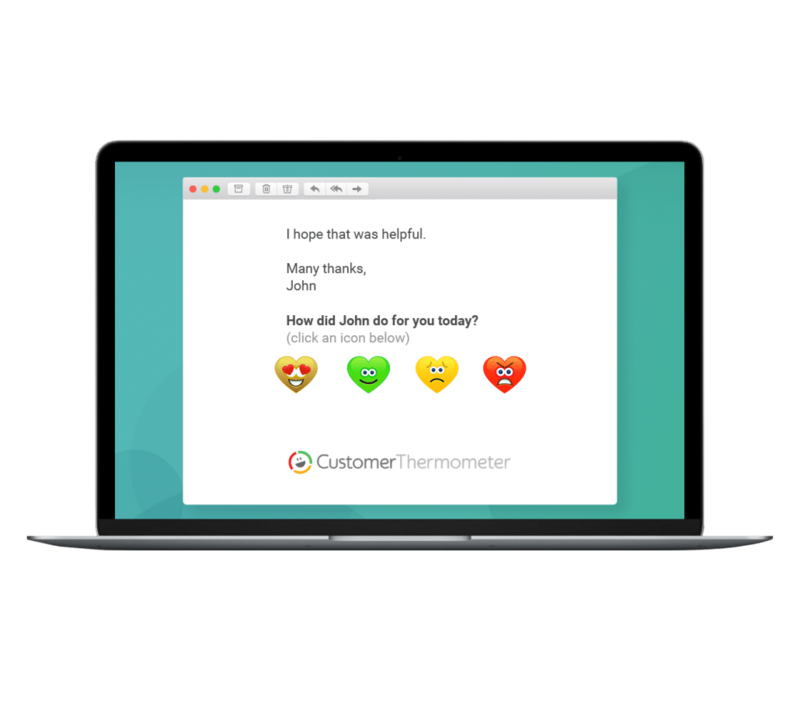 We call our embedded email surveys ‘email thermometers’ as they’re used to test the satisfaction ‘temperature’ of your customers. They are simple to setup, totally configurable and will provide you with email alerts if you want them. Email signature surveys present your survey question alongside the senders email signature. Email signature surveys are often used to gain ad-hoc customer feedback. 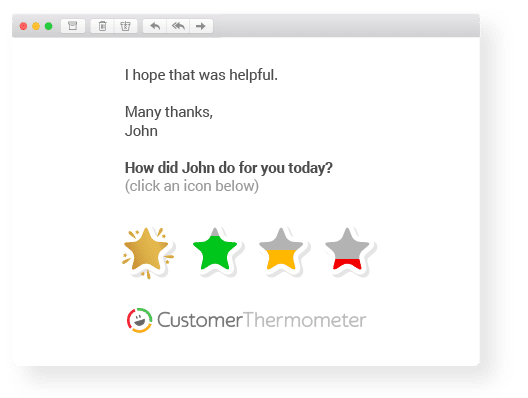 Survey response buttons or icons are prominently presented as part of the email signature which makes it easy to include surveys in only specific email messages and helps drive excellent response rates. Here’s how you can get started with an embedded email customer satisfaction survey today. If you haven’t already done so – sign up for your free Customer Thermometer account and login. Click ‘manage thermometers’ and then ‘add new thermometer’ to create your new embedded email survey. It’s always a good idea to use a sensible survey naming strategy because once you have seen how quick and easy it is to configure Customer Thermometer surveys you will want to do more. 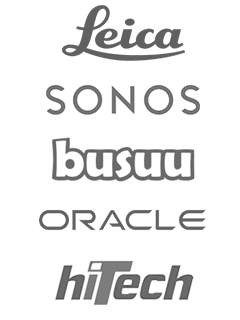 A typical single-question Customer Satisfaction survey might ask: “Overall how satisfied were you with [COMPANY NAME]. 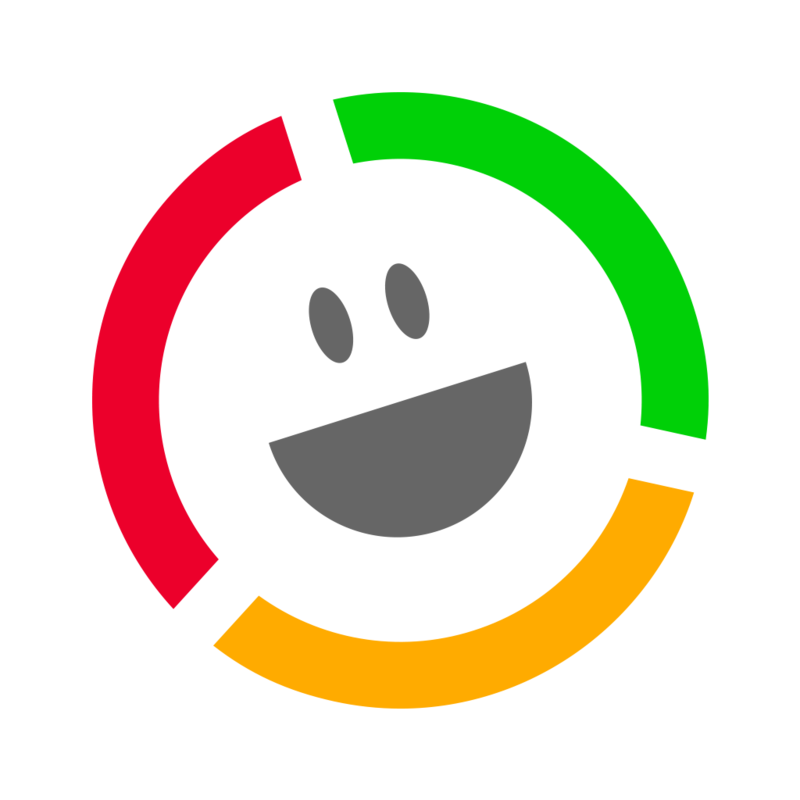 Enable Net Promoter Score Reporting if you want to – it’s optional. Create a subject line for your email. We’ve provided some great guidance on email survey subject lines which get opened and generate great response rates. We have provided an extensive library of free icons for you to choose from. Add a company logo if you like. Choose your title bar color. Add the email sender’s name. Your email alerts are totally configurable and can be automatically sent to one or more recipients. It’s always a good idea to preview your newly created embedded email survey. Send a test to yourself and you’re ready to go. By sending a test email to yourself you can see exactly what your customers will see. Add your list of customer email addresses and schedule your email blasts. 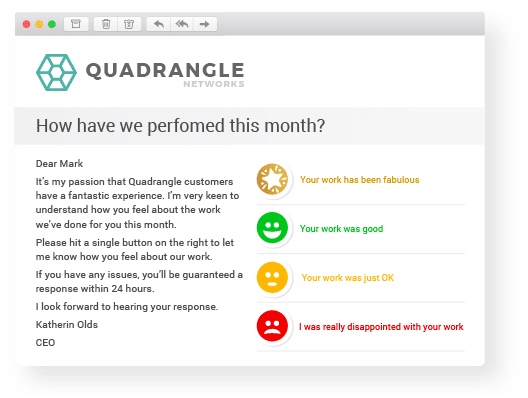 It’s super-easy to start using Customer Thermometer to survey your customers directly from your email communications so give it a trial – we know you will love it.